As a poet librarian, I take a special delight in recommending poetry to readers–especially those who don’t think that they like it. I find that many people who don’t like poetry base their judgment on something they were forced to read a long time ago, and I love the possibility that the right poem can draw them back to give it another try. Over and over, I’ve recommended Music I Once Could Dance To by Roy Beckemeyer, as a collection that is familiar and comfortable in its imagery and ideas, but also stunningly fresh and original in voice and perspective. Like all of the best poets on our shelves, Beckemeyer manages to share his unique view of a familiar world, so that we can all see it anew. Meet the poet! Beckemeyer is a featured reader at this year’s Open Mic & Poetry Reading on April 26, at 7 p.m. Check out the library’s event calendar for the details. After 50 years of living and travelling in Kansas, Beckemeyer can’t help but include the landscape in his poetry. Kansas readers will recognize it. We see “griddle-flat pastures” and “lightning zippering together/horizon and clouds/ with white static.” We feel prairie wind, find ourselves “addicted to the vastness of prairie skies.” Beckemeyer’s poems transport us beyond our state, too. In “At Night in the Southern Rockies,” we see “peaks sharp/as glass shards cut into the galaxy/ of pinpricks.” We admire white dunes, constellations, a Nebraska sunrise. Beckemeyer notes that he is inspired to write by both images and words. His poetry is lyrical and highly crafted, but rooted in the senses. Music is another inspiration. It winds its way throughout the collection, starting with the title and bridging the space between poems. Song is found in night locomotives, their “high/ pitched harmonies out along/ those great lengths of steel.” In the wrenching sound of a blues harp “bending to a sharp note/ razor thin and stained/ the color of rust or blood.” In breath, in wind, in memory. Whether you’re new to poetry or you live and breathe it, Music I Once Could Dance To is worth a read. Don’t be surprised if you can’t put it down until you’ve read it twice. My wife and I came to Kansas in 1966 after a stint in the Air Force. I had a BS in aeronautical engineering and Wichita was high on my list of places to move to with Beech, Cessna, Lear Jet, and Boeing building airplanes and Wichita State with a strong graduate program in engineering. I ended up working at Beech and Boeing and earning an MS from WSU and a PhD from KU. Our family loved camping and as the kids got old enough we would go backpacking every summer. That led to an interest in nature – wildflowers, birds and animals. I ended up taking some biology classes (Field Ecology, River Ecology), and learned about Kansas and the prairie. We travelled to all corners of the state bird watching, camping, hiking, hunting and fishing, and taking photos. I suspect my favorite book of all time is Rain on the Wind, by Walter Macken. It was written in 1950, and I remember reading it the first time in a book of the month edition my parents received. I was probably in the 4th or fifth grade. His use of the lyricism in the Galway tongue, an almost classical tale of brotherly love and conflict, and a haunting love story captured me and to this day I read the book over again every couple of years. It still resonates with me now, almost 70 years later. I love meaty volumes of historical fiction: Patrick O’Brian’s series of Aubrey/Maturin novels of the British Royal Navy in the Napoleonic era, Dorothy Dunnett’s two sets of novels about the 15th and 16th centuries, the eight-book House of Niccolo and the six-book Lymond Chronicles series have all been staples for when I wanted to immerse myself in another world for a long season of reading. My first encounters with poetry were in elementary school: Poe’s “The Raven,” Coleridge’s “Rime of the Ancient Mariner.” I was caught up by the musicality and richness of their language. Robert Frost was one of the first contemporary poets whose work I came to love. Here are the opening lines of “The Star-Splitter”: “You know Orion always comes up sideways / Throwing a leg up over our fence of mountains. / And rising on his hands, he looks in on me / Busy outdoors by lantern light with something / I should have done by daylight…” The poem is about a farmer who isn’t much good at farming, and would rather star-gaze. That image of Orion rising struck me, a kid who used to look at the stars a lot. To this day Orion finds his way into my poems with some regularity. Two poets I began reading in the late 1970’s, when I first began to get serious about writing poetry and trying to get it published, were Galway Kinnell and Dave Etter. They were not similar at all in writing technique or subject. Etter described worlds and people I have known all my life. He was a Californian transplanted to Illinois who captured the residents and patois and attitudes of the plains and midwest perfectly. He often used syllabic counts to set his rhythms, which ranged from jazz musician’s riffs to the clicking of train wheels on rail joints to the drawls of grain-belt farmers. Here are some lines from “I Mean You”: “I mean you / in New Boston / and Cairo. / I mean you / in Beardstown / and Quincy. / I mean you, / I mean the river, / I mean towboats, / I mean willows / at Hannibal / and Clinton… / I mean you / and I mean me. / Me and you, / kissing it up / in La Crosse / or Nauvoo.” In this poem you ride along with him, your head out the window of the caboose, the wind in your face, the smell of fields of corn baking in the summer sun, thinking about that girl. A New-Englander like Frost, Kinnell’s language was rich and full of unexpected and lyrical images and word choices, a tapestry of heavenly warp and earthy weft. His “The Bear” is a magnificent poem telling the tale of how Inuit hunters use a flexible coil of sharpened bone frozen in blubber to take bears – the bear eats the blubber, the coil pierces its gut, and the hunter tracks the bear until it bleeds to death. Kinnell takes on the persona of the hunter, then that of the bear, to tell this powerful tale. Here are some lines: “And I set out / running, following the splashes / of blood wandering over the world. / At the cut, gashed resting places / I stop and rest, / at the crawl-marks / where he lay out on his belly / to overpass some stretch of bauchy ice / I lie out / dragging myself forward with bear-knives in my fists.” And, after coming to the dead bear, “And dream / of lumbering flatfooted / over the tundra, / stabbed twice from within, / splattering a trail behind me, / splattering it out no matter which way I lurch, / no matter which parabola of bear transcendence, / which dance of solitude I attempt, / which gravity-clutched leap, / which trudge, which groan.” Here are horror and transcendent loveliness brought together into an unforgettable poem. Other poets (I don’t have time or space for them all) who I believe have influenced me include William Stafford for his understatement, the unstated layers of depth in his carefully chosen words; Paul Zimmer for his love of trains, nature, jazz, and his ability to say it all with simultaneous awe and humor; Albert Goldbarth for his breadth and depth of intelligence and the way he does not hesitate to challenge his readers with ideas and language with all of their intricacies and specificities and difficulties, for his ability to make all of one thing out of prose and poetry; Lisel Mueller for her ability to assume the persona of a widow, of Mary Shelley, of Monet, with such aplomb, such grace. Finally, I have to say that I grew up in the golden era of radio, the early 1940’s through the fifties, listening to the wonderful songs of the Great American Songbook. To this day when one of those standards is played, the words come to mind and I sing (or closely approximate singing) along. Those songs are a kind of poetry, too, and I like to think that the combination of the Tin-Pan Alley lyricists’ wise ways with words and the composers’ wondrous musicality has influenced my writing. As an engineer and naturalist, I am visually-driven, as a poet, language-driven, so I can be inspired by what I see or remember seeing, as well as by words I read that I find striking. The two approaches are not necessarily so far apart: a memorable image can be burned into my brain by a poet’s words. You won a Kansas Kansas Notable Book Award for your first published collection of poems, Music I Once Could Dance To. Did the recognition bring you increased attention from fans, or result in opportunities? I was delighted to learn that my book was being recognized as a Kansas Notable Book for 2015, especially so because the award is a project of the Kansas State Library. Libraries and librarians have been very important in my life. As a child with a voracious appetite for books, libraries were the source of most of my reading material. School librarians were always able to put me on the trail of an exciting book or series of books. 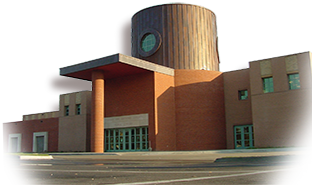 And later, in my scientific career, I worked with corporate librarians and university librarians, and was fortunate to live close to one of the most important scientific and technical libraries in the country, Linda Hall Library in Kansas City. The State Library of Kansas has a grant program whereby Kansas libraries can purchase Kansas Notable Books, and the summer that my book was chosen, there was a sharp uptick in book orders from libraries across the state. I was able to visit a number of those libraries and hold readings and poetry workshops for adults and kids, which I thoroughly enjoyed. So, yes, that recognition was important to me as an author trying to connect with readers. Tell us about your background in science, and how that has influenced your writing? Technical and artistic tasks use opposite halves of our brains, but there are some interesting similarities in the skills engineers or scientists and poets bring to their jobs. Engineers must pay attention to the nitty-gritty aspects of their work; an airplane might fall from the sky because of a poorly designed detail. Scientists often make breakthroughs because they notice a detail that everyone else has overlooked. And poets are known for paying attention to details, showing us through their eyes things about our everyday life that we miss because we aren’t watching closely enough. my hand, too soon in the world. Any recommendations you’d like to share for readers during poetry month? I would like to suggest a few books that feature poets from Kansas. Denise Low, as a project during her tenure as Kansas Poet Laureate (2007-2009), edited To the Stars: Kansas Poets of the Ad Astra Poetry Project (2009, Center for Kansas Studies of Washburn University, Mammoth Publications, Lawrence, KS). In this 2010 Kansas Notable Book, she gives a two-page spread to each of 48 Kansas poets: a poem on one page, a picture of the poet, a brief bio, and a few words about the poem. Forty-eight writers are covered, ranging from Langston Hughes to Albert Goldbarth. An appendix to the book is a series of prompts by Caryn Mirriam-Goldberg (Kansas Poet Laureate, 2009-2013) that are based on the poems and intended to inspire the reader to try her hand at writing. Caryn Mirriam Goldberg’s first project as Kansas Poet Laureate (2009-2013) was a web-based journal for weekly poetry during the Kansas Sesquicentennial that resulted in the book Begin Again: 150 Kansas Poems (2011, Woodley Press, Topeka, KS). It contains an assortment of poems by poets from across the state, and provides a smorgasbord of delightful insights into what it means to live in Kansas. All Kansans should have an opportunity to read poems by William Stafford (a Hutchinson, Kansas native), who is perhaps the most important Kansas poet. His son, Kim Stafford, edited a volume containing 100 of what he considered to be essential poems from his father’s canon of work. The book, Ask Me: 100 essential poems by William Stafford (2014, Greywolf Press, Minneapolis, MN), was produced in honor of the 100th anniversary of William Stafford’s birth. Finally, I recommend a recent book of Kansas poetry: Ghost Sign: Poems from White Buffalo (2016, 39 West Press and Spartan Press, Kansas City, MO). This book collects poems by four southeast Kansas poets: Al Ortolani, Melissa Fite Johnson, Adam Jameson, and J. T. Knoll. It is full of poems about Kansas and Kansans, and is a great read. *Miranda Ericsson interviewed Roy Beckemeyer via email in April, 2017. 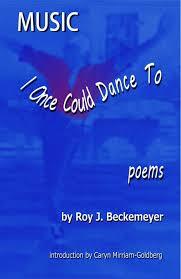 Roy Beckemeyer’s poetry book, Music I Once Could Dance To (Coal City Press, 2014), was selected as a Kansas Notable Book for 2015. Two poems from that book were 2016 Pushcart nominees. His work has appeared in such print and online literary journals as 150 Kansas Poems, Beecher’s Magazine, The Bluest Aye, Coal City Review, Chiron Review, Dappled Things, Kansas City Voices, I-70 Review, The Midwest Quarterly, The North Dakota Quarterly, Pilgrim, Straylight, The Syzygy Poetry Journal, and Zingara. His poems have appeared in six anthologies. He was Kansas Authors Club Poet of the Year for 2013 and 2016, won the Jim Stone Memorial Poetry Prize in 2013 and 2014, and the Kansas Voices Poetry Award in 2016. He has a Ph.D. in aeronautical engineering and is retired from The Boeing Company where he worked nearly 30 years. He has edited two scientific journals and conducts research in paleontology; He has described more than 20 new species of Paleozoic fossil insects. Posted in Books, Movies & Music and tagged featured author, Kansas Notable Book, Local Authors, poetry. This is an inspired and inspiring interview. I was thrill to see Katy Kysar’s poem used as an epigraph. Your intelligence and attention to detail blow me away. You’re welcome. Thank you for writing such a wonderful piece.